Never one to turn down a free ticket (or, let’s be honest, a free anything), last night I went along to a gig at Barfly in Camden. In truth I wasn’t particularly looking forward to it. Despite my dad having been a talent scout in the music industry when I was a teenager I’ve never considered myself to be part of the in-crowd where new and emerging artists were concerned. Whenever I went to a gig I’d stand at the back in my River Island jeans and H&M top, clutching a pint of cider and feeling beyond awkward as I watched all the hipsters in their drainpipe jeans and black-rimmed glasses bopping away at the front, collectively pouting as their directional hair valiantly fought the forces of gravity. It wasn’t a conscious decision to stop attending gigs, more of a natural progression. So when I was offered a free ticket to last night’s event I was forced to re-examine my position. Was I really up for spending three hours standing in a dingy room above a pub, face-in-armpit with a bunch of hairy hipsters? Did I really want to re-live those awkward memories that had long since been buried? Surely now I was at an age where I knew what I liked and what I didn’t and this just happened to be something that I didn’t? Was it so wrong to admit that? So, after considerable soul searching I went along to the gig. And it was dingy. And it was full of hipsters with directional hair, drainpipe jeans and black-rimmed glasses (has the trend not changed in a decade? Maybe I’m not so behind the times after all). But you know what? I had a fantastic night. The bands were brilliant, especially the last one, Slow Club, whose lead singer was just mesmerising. At the end she jumped into the crowd and sang a song standing directly in front of me. She didn’t have a microphone to amplify her voice but it didn’t matter as the crowd were so silent you could have heard a pin drop. It was quite, quite beautiful. And utterly inspirational – I even started formulating a character in my mind for my next story. Afterwards we went downstairs for another drink (at 11pm on a school night – I really was pushing the boundaries!) and ended up dancing until midnight, casting off the restrictive shackles of ‘age’ (that I’ll admit I impose upon myself) and simply having some good old fashioned fun. I learned something about myself – and life – last night. When you pigeonhole yourself because of silly things like age you close yourself off to new – and wonderful – experiences. And it’s only through new experiences that you can grow as a person (and, in my case, develop as a writer). Getting older doesn’t make us old, telling ourselves we’re too old to do things makes us old – so from now on I’m going to try and hold that in mind. 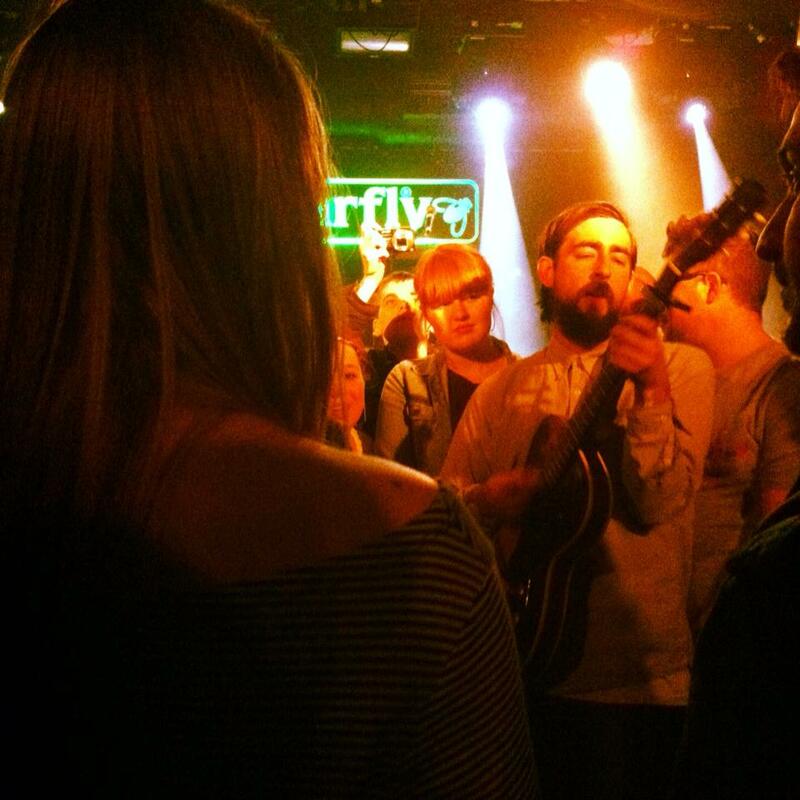 This entry was posted in Uncategorized and tagged awkward, bands, barfly, black-rimmed glasses, camden, directional hair, drainpipe jeans, fun, gig, hipsters, in-crowd, inspiration, live music, memories, perception, slow club, too old by Belle365. Bookmark the permalink.